The balance between poppy and grungy make Morningside a fine debut, despite its all-too clean appearance. There is a soothing, warm presence within Morningside that makes up for its lack of dynamic and flexible changes. 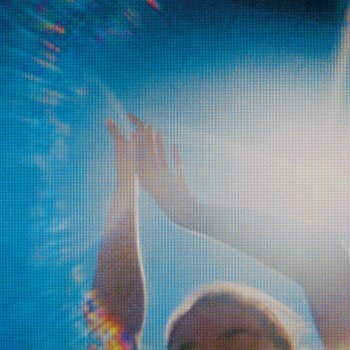 Fazerdaze creates an album that is childlike in nature, one that has a sometimes annoyingly clean varnish. While the Auckland-based band’s debut might be one that could be lost to time, it is a fairly strong piece that shows its internal and external conflicts well. There is enough self-deprecation on this album to fill three glasses of wine, and yet there is cutesy instrumentation that creates the façade of happiness. Morningside could have simply been about relationship issues and growing up, but Fazerdaze show themselves as a band capable of demonstrating more than that. The main issue the album contends with is time. For vocalist Amelia Murray, life is engaging in a tug-of-war between taking everything fast and taking things in stride. Whether she means it literally in “Take It Slow” and “Jennifer” or more rhythmically in “Bedroom Talks”, the record struggles to take a side. Despite the very slight shifts in vocals, what becomes the shining feature of these tracks is how each song positions themselves in a spectrum. Fazerdaze does not position their songs as happy or sad only by their lyrics alone; the push-and-pull between different genre influences shifts each song along the scale. Nothing makes that any clearer than Fazerdaze’s dabbling in grunge. For an album that starts with the childlike, ‘90s contemporary pop “Last to Sleep”, there is a surprising darkness and depth that permeates. One would not reach that core after the joyful “Lucky Girl”. However, deeper takes like “Friends” and “In My Room” demonstrate a depression that makes the lethargic vocals understandable. Though the previous poppy instrumentals are genuine, they do not hide the fear underneath. Murray is afraid of losing her friends and what it means to be one to others; she is scared that her goal of wanting to figure life out is impossible. Each self-deprecating line feels like a stab that reaches out to the listener. Lyrics become drenched in the idea of having wronged someone. “Have I misread the way I feel about you?” (“Misread”); “I’m trying not to try so hard for you” (“Shoulders”); “All I want to do is change” (“Bedroom Talks”). The pretty electronics thus create the façade while the grungy guitars demonstrate a more unkind reality and lethargy. It is not a surprise to hear explosions of energy flutter in-and-out of a couple takes. Sometimes these fluctuations of energy can cause issues. “Take It Slow” finishes with instrumental and vocal textures that smother each other in a fashion more suitable for shoegaze. The absence of energy and livid instrumentation produces a track like “Little Uneasy”, an item that fits more into emo. The two songs highlight the all-too-clean finish of some strings and vocals; they detract from the experience of a warm self-deprecation. For a debut record, Morningside shows its depth well. Throughout the ‘90s adult pop sound of the first half of the record is an encapsulating sadness that would grow in its second half. Fazerdaze does not have to get rid of its clean tone, both in its vocalizing and instrumentation. Perhaps this fault is what makes them endearing.